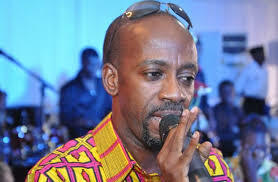 The never ending debate concerning all persons paying taxes has been ignited again as the head of Ghana Music Rights Organisation (GHAMRO) has openly said all individuals including musicians are suppose to pay taxes. Highlife great and The GHAMRO Chairman Rex Owusu Marfo has supported the decision by government to tax creative arts players. According to him, every citizen working in the country must pay tax for development of the state. Appearing on the Showbiz Xtra over the weekend with the Host Dr. Cann the musician said, one couldn’t live in a country and fail to pay his or tax. Creative Arts people have been given two months grace period to prepare themselves towards paying their tax obligations to the state. A statement issued and signed by the Tourism and Creative Arts Minister, Catherine Afeku said, the decision was reached after some consultations were done with the Finance Ministry and the Ghana Revenue Authority (GRA). She said between now and the end of December, workshops would be organized to educate industry players on their tax obligations. “In this connection, the Ministry announces for the information of all players in the creative arts sector that it has received assurances from the Ministry of Finance and the GRA to the effect that between now and end of December 2018, workshops will be organized to educate artistes on their tax obligations, generally, and why it is the civic responsibility of every Ghanaian who earns an income to pay tax,” she stated. Commenting the decision, the 53-year old highlife musician revealed that even the hardworking 'Kayayoos' pay taxes adding that, nothing stops others from paying. "We have to pay tax ,’’ he added.